The dresses are sewn, blessed and ready to go around the world! On March 5, 2017, our Interim Rector, the Rev. Barb Schmitz blessed nearly 150 dresses created by members of St. John’s and other enthusiastic crafters and sewers throughout the Ithaca area over the preceding 12 weeks. The dresses are being donated to the international organization Hope 4 Women International, which sponsors Dress A Girl Around The World. Since 2008, Dress A Girl Around The World’s goal has been to restore a sense of worth to vulnerable girls suffering from extreme poverty. Since inception, they have provided more than 500,000 handmade by volunteer dresses to girls in 82 different countries, including the United States. St. John’s was the central point for information, tips, supplies if necessary, and the culminating dress drop-off. St. John’s members met weekly at the church to sew together and a number of them also took fabric home to make dresses. In addition to St. John’s members, other area groups, organizations and individuals were encouraged to make the initiative their own by hosting weekly sewing clubs, weekend sew-a-thon’s, individual challenges, etc. 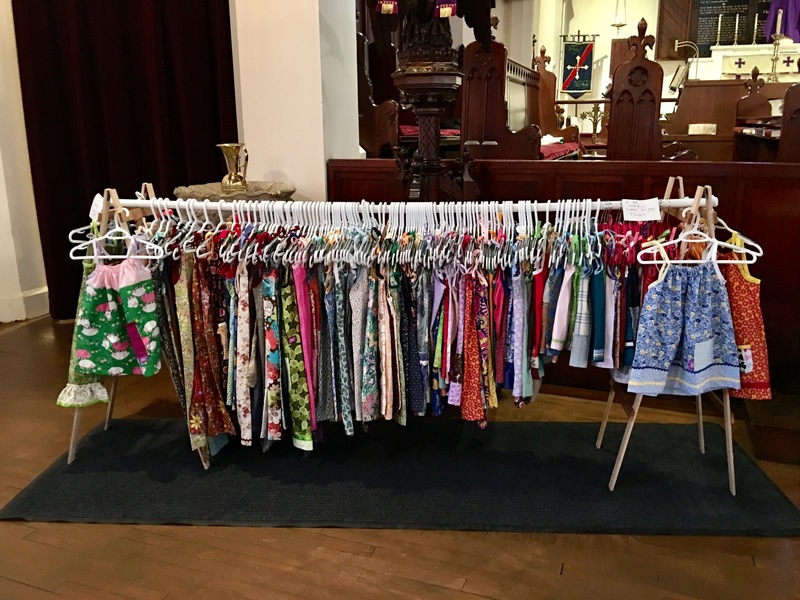 For more information about the biennial Dress A Girl Around The World Event in Ithaca or for help starting your own group, please contact Mindy Oakes through St. John’s Church by e-mailing stjohns@clarityconnect.com.